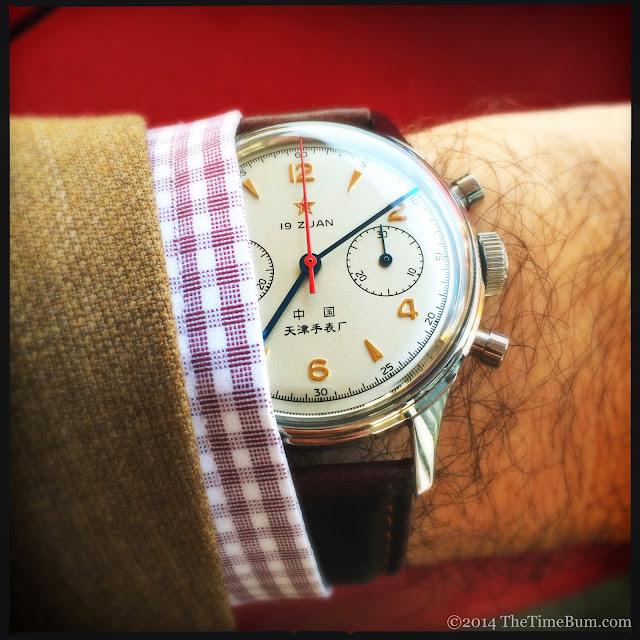 The SeaGull 1963 has become a bit of a cult classic in the affordable watch world. Its authentic mid-century design, military provenance, and very reasonable price account for part of its popularity, but to really explain its charm, I invited some fellow enthusiasts and 1963 owners to tell me why they love it. Our impressions are below, but first, some background information is in order. The Time Bum's 38mm "Red Star"
The Tianjin Watch Factory made the first Chinese watch in 1961 and were soon assigned to make an official timepiece for the Air Force of the Peoples Liberation Army. Project 304, as it was called, used Venus Watches calibre 175, a Swiss column wheel design found in many 1940s and 50s chronographs, including Breitling. The movement was purchased from Venus for use in this watch and eventually became the SeaGull ST19 used today. In the 1963, the movement has either 19 or 21 jewels (depending on production) and a power reserve of about 40 hours. The ST19 has a bit of a checkered reputation as certain batches supplied to third party micro brands had abnormally high number of defective units. I have heard rumours that the problems stemmed from poor assembly of ébauches, but I could not confirm. 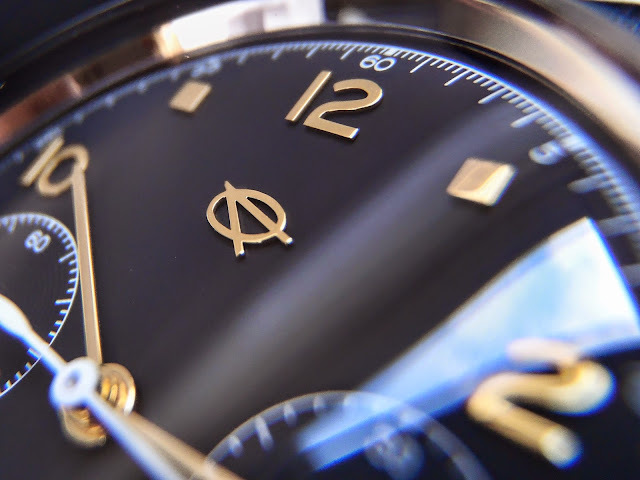 The modern incarnations retain the aesthetics of the original: domed crystal, polished case, baton hands, 30 minute accumulator at 3 o'clock, small seconds at 9 o'clock, and a combination of applied gold numerals and dart-shaped markers. The initial reissue was 38mm across with an acrylic crystal, silver dial, blue hands, and a red second hand. Since then, other variants have appeared, including sapphire crystals, black and cream dials, and even a 42mm with a white and black, or black and silver "panda" dials. They may be purchased from SeaGull1963.com, Island Watch (LongIslandWatch.com), WatchUnique.com, and other sellers. They are generally priced between $170-350 USD depending on model and seller. The cream and black dial versions are the newest and are offered by watchmaker and Watchuseek regular Thomas/"hked" through the Watchuseek Chinese Mechanical Watch forum. I purchased an original design reissue from a private seller a couple of years ago and it quickly became one of the core watches in my collection. It is a charming piece. 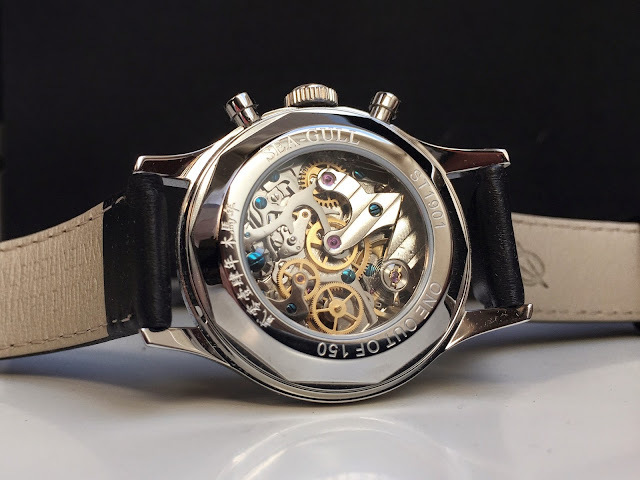 Because each of the variations have their own distinct character, I thought it might be interesting to ask some fellow enthusiasts to discuss their own watches and explain the attraction in their own words. I acted as interviewer, editor, and the representative of the older "Red Star" PLA Air Force version, along with sometime Guest Bum, Ian Tewksbury. Watchuseek forum denizens Bradjholmes and hwa weighed in on the cream and black dialed hked versions, and Ita of Melbourne, Australia covered the "Big Panda." 42mm "Big Panda" on pilot strap - Photo by Ita. Which version of the 1963 do you own? 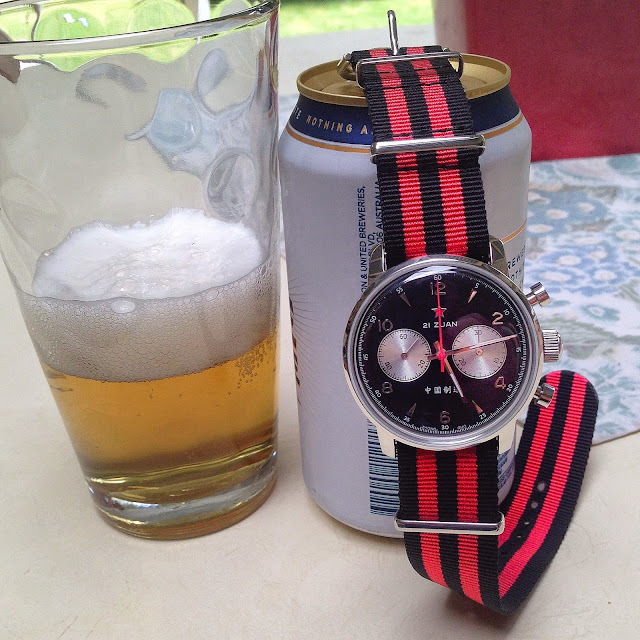 TB: I have a 38mm case with the acrylic crystal, silver dial, and red star. HWA: I have the new hked/Thomas version, 38mm acrylic crystal, one each cream dial and black dial. BH: Mine is the latest reissue with black dial, 38mm case and display back. ITA: I actually own two, a WUS Chinese Mechanical Forum 38mm Cream Dial project watch and a Sea Gull (Thomas/hked re-issue) 42mm Reverse Panda. Both have the acrylic crystal. I’ll restrict my answers to the 42mm Panda version. IT: I have a 38mm case with the acrylic crystal, silver dial, red star, 21 zuan (jewel) text, and unsigned crown. Why did you buy a 1963? 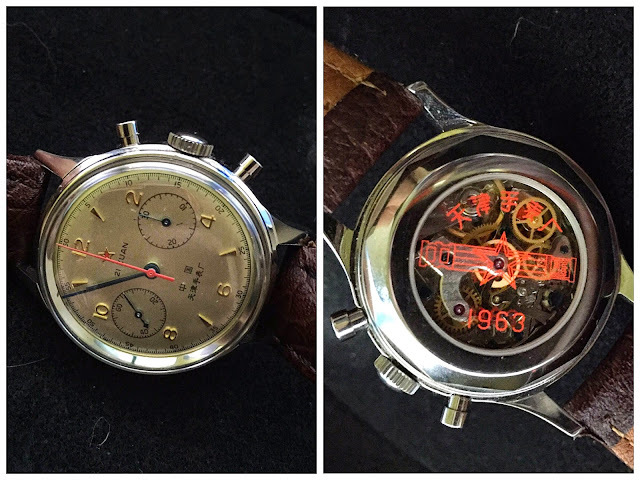 TB: I wanted a vintage mechanical chronograph but did not want to pay more than a couple hundred bucks. The SeaGull had just the look I wanted: small case, high dome, and a nicely detailed dial. The fact that it was based on an original mid-century military design did not hurt either. HWA: When I first began collecting watches in a somewhat serious manner, I was drawn to both the Affordables and Chinese watch forums at WUS. In the CMW, in particular, the 1963 is a favorite due to its great looks, its affordability, and its historic interest. I fell in love with its looks, which led me to overlook any concerns over the ST19 hand wind. Initially, I purchased one of the Watchunique pieces, 38mm cream with acrylic, with the red star. When hked version came out, I quickly sold the watchunique version in favor of the hked version, for two reasons: reliability concerns caused me to prefer to deal directly with hked/Thomas in the event I ran into any problem. 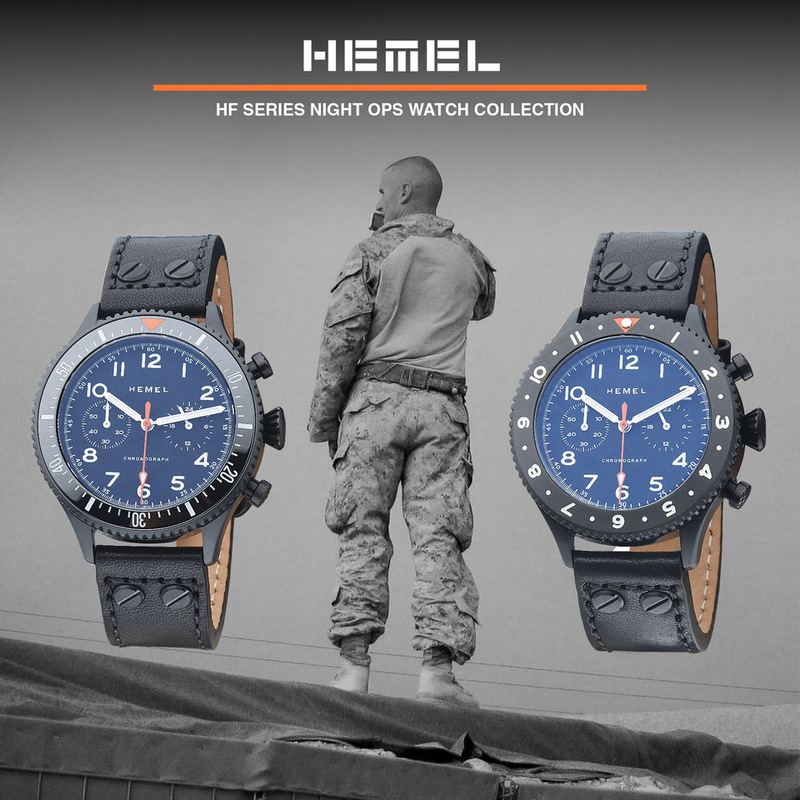 This was not due to any particular concern with watchunique, but rather reflects on my trust in hked/Thomas from experience with the several project watches they have shepherded. Also, I preferred the historical accuracy of the hked version and also find it to be better executed. BH: There aren’t many other watches available that have the same vintage vibe for such a reasonable cost. 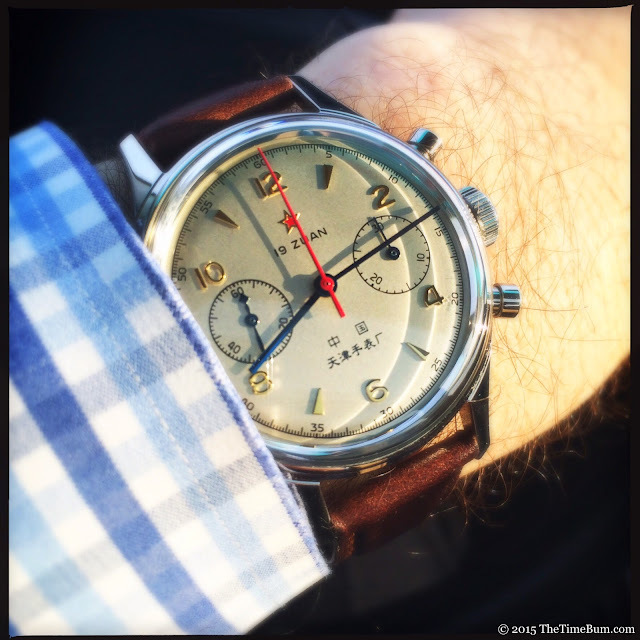 Chronographs are cool (everyone knows that), and mechanical chronographs doubly so. 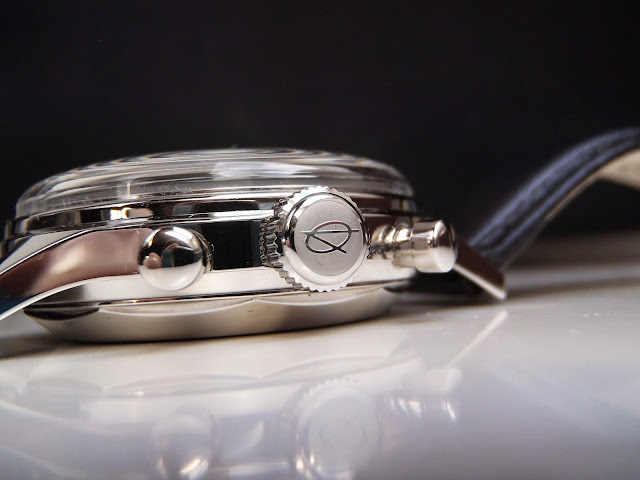 ITA: Well to be honest I knew absolutely nothing about Sea Gull or the history of the 1963 Chronograph until I stumbled across the WUS Chinese Mechanical Forum project watch about 8 months ago. I loved the look, the history and the price so I jumped on it. This sparked my interest in Chinese Mechanicals and I began researching them. I have a small but diverse collection of watches so I wasn’t actually looking for another 1963, but when I saw the 42mm Reverse Panda version I was hooked. I was happy to purchase another as it was dramatically different to my 38mm Cream Dial and can live happily in the same watch box without crossing over themes/styles too much. So the answer is, I like chronos and this one fits into my collection at a more than reasonable price, with a look that gets plenty of wrist-time. IT: I did a watch exchange with the Time Bum for my Blue Monster and for a couple weeks the rest of the watches in my case got very jealous of the wrist time the Seagull 1963 was getting. It took me no time at all to fall in love with the gold embossed numerals, blued hands, and red seconds hand with that slightly metallic campaign dial. I was done in for with the Chinese characters and the unabashed red star on the otherwise see through case back. I also personally lust after different and interesting movements, and doubly so with exhibition case backs. The Seagull being an affordable impulse buy manual chronograph on top of everything else I just had to have one. Since the Time Bum was holding my Blue Monster hostage, I did eventually have to give the Seagull back. Before I did though, I sourced one of my own from WatchUSeek and it was on its way over the ocean before the swap back. Why did you choose your particular model? TB: At the time I bought it, it was the only version available, but I'd get the same one if I were buying today. The 42mm versions are cool, but too modern in their size, which takes away a bit off charm. Same with the sapphire vs acrylic crystal. The acrylic is true to the original. HWA: As noted, I chose the watchunique initially due to cost and availability—it was the only acrylic version then available. I swapped it for the hked/Thomas versions, and have never doubted that choice. BH: I’ve been tempted by several other incarnations of the 1963 over the last couple of years. I quickly decided the 42mm Panda dials are too big for me and don’t have quite the same charm as the original cream dial. When the latest reissue was introduced with the option of the seldom seen black dial version I finally decided to bite the bullet and order one. I opted for the display back version as although the ST19 may not be the best finished movement out there, it’s still got so much going on that you’re going to want to see it. ITA: Diversity. There is nothing else like it in my collection. Yes I have another watch with the ST-19 Movt. but the case size, lugs, dial colour and band options totally separate it from its sibling. The dial is striking, its layout, balance and detail are very very pleasing to the eye and the domed acrylic crystal give it a great vintage look. IT: I did my best to try and source the exact same one I fell in love with. This proved more difficult then I thought it might, but the challenge is always fun. The 42mm were much more easier to find, but I wanted the 38mm with acrylic crystal. Partly because I have tiny 6.5" wrists, and more importantly I already knew I loved the 38, so why go changing something that works. The only two things that ended up being different about mine, despite my best efforts, was no signed crown and 21 zuan on the dial rather then 19 zuan. There seems to be conflicting reports about why, despite it being the same ST19 movement, the dial says 21 zuan on some models, such as mine. The 21 zuan has grown on me over the past few months, the lack of a signed crown has not, and when ever I see the Time Bum's I lust after it. I am a sucker for the details. Maybe one of these days I'll track down one with a signed crown, but then it wouldn't be mine with my story, so perhaps not. What are your impressions of the ST-19 movement? TB: I have been very happy with it. I have heard the horror stories about the reliability of some batches, but this is my second (the other is the Magrette Moana Pacific Pro Chronograph) and I've had no problems. I understand if you get a wonky one, you will know right away . Mine have been humming for years so I have no reason to think they will flake out now. 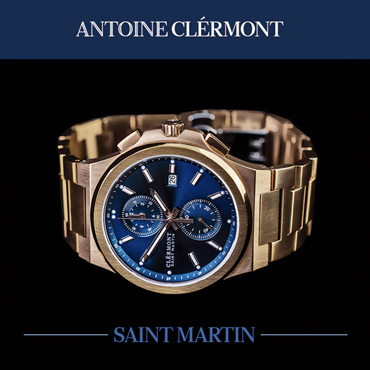 I love the fact that it brings the mechanical chronograph down to such an attainable price point. 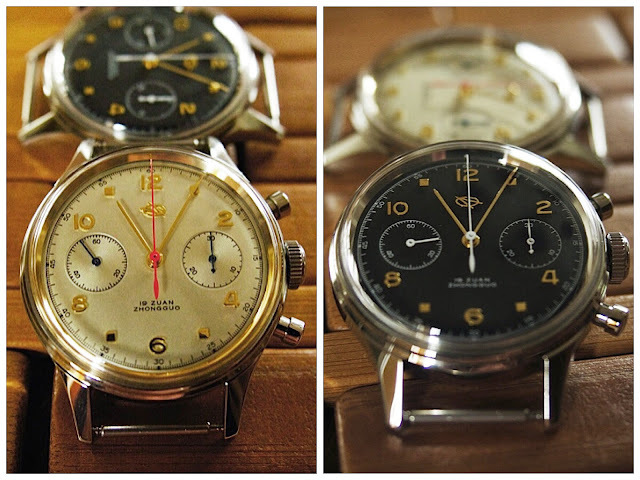 HWA: I have several ST19 powered watches: a Lew & Huey Riccardo and G Gerlach Aurochs, both of which I purchased used, a G Gerlach Sokol 1000, just delivered, and the two ‘63s. The L&H is the ST1940 automatic variant. I purchased it knowing the rotor had come loose, and was able to have it repaired quite inexpensively and successfully. It has the reset “problem” if you will, in that the chrono does not always reset to “12.” The Aurochs is currently being winging its way to Gerlach for replacement of the crown/stem assembly, as the crown sheared off. I think that is a reflection on the bullhead design more than a problem with the ST19. I have had no problem with the hked '63s, but I wear them sparingly. Overall, my impression of the ST19 is mixed, and I intend to purchase one or two good quality spare movements to have on hand in case of a need for a drop-in replacement. It is exceedingly difficult if not impossible to find a North American watchmaker who will disassemble an ST19, and frankly it would not be cost effective to attempt a repair beyond a drop in replacement. BH: This is the third ST19 I’ve owned, but I didn’t keep the other two for very long. I haven’t experienced mechanical failure in any of them though. The ST19 has a bit of a bad reputation for reliability, but it seems that if it works then it works well. The movement winds very well, has a nice feel to the start/stop/reset of the chronograph and has a very audible and charming ‘ticker-ticker-ticker’ sound to it. Despite so many horror stories about the movement I wouldn’t shy away from owning more, though I would make sure I only buy from a seller with a pretty good returns policy for defective movements. ITA: To be honest I’m pleasantly surprised. I had low expectations after web research returned some horrific tales of woe interlaced with fan-boy stories of incredible accuracy and durability. The meaty crown on mine is embossed with the 5 point star, the Movt. 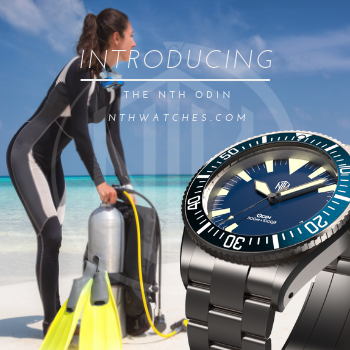 winds very smoothly and runs at +8spd with about 50 hours power reserve! The chrono, starts, stops and resets flawlessly. IT: Works great for me. I have never tested how many seconds it losses a day. In any case it is certainly not losing enough for me to notice. I just adore the finishing of the movement as seen through the exhibition case back, though obstructed by the unabashed red star. I have spent more time then I care to divulge to the internet watching the movement tick away and watching the pieces move as I start/stop the chronograph and reset it. I also very much enjoy the satisfying ticking of the movement. Some may say it is load, I say it is present and glorious. "Ian, what is that load ticking sound coming from under your shirt cuff?" "Oh, that, that's just my vintage style Chinese manual chronograph." You can only imagine how much play with the ladies that gets me. How much did you pay, and how would you rate its value? TB: Mine was originally purchased from seagull1963.com, but not by me. I lucked out and snagged it used for $180 but even at current list price it is an outstanding value. HWA: I paid $220 each for the hked versions. BH: My version cost $220 plus shipping via hked on the watchuseek forum. In terms of value I would say that it’s right up there with the best. ITA: $235US direct from Thomas in HK. Value? Extraordinary!!! A column wheel chronograph that looks and functions like this is really 1980’s value for that money. IT: $355 including shipping from Hong Kong. If this was ebay I would give it an "A++++++++++". Worth every single penny, and probably more, but don't tell the Chinese that, its wonderful just as it is at just the price it is. How and where do you wear it? TB: To the office. It is strictly a coat and tie watch for me. It almost never comes out on the weekends. HWA: I wear them infrequently and strictly casually. I have other dress watches, so these are just for fun. BH: Pretty much anywhere. I don’t tend to baby my watches too much or buy anything that I wouldn’t be comfortable wearing under a shirt cuff in the office or in shorts and t-shirt on the weekend. I’ve changed the stock strap to a rich brown Seawolf strap which helps to keep the watch looking fairly casual. ITA: I wear it a lot. It’s a work watch and a casual week-ender. I have some very nice dress watches so I’ve never tried to dress it up, but I guess I could. 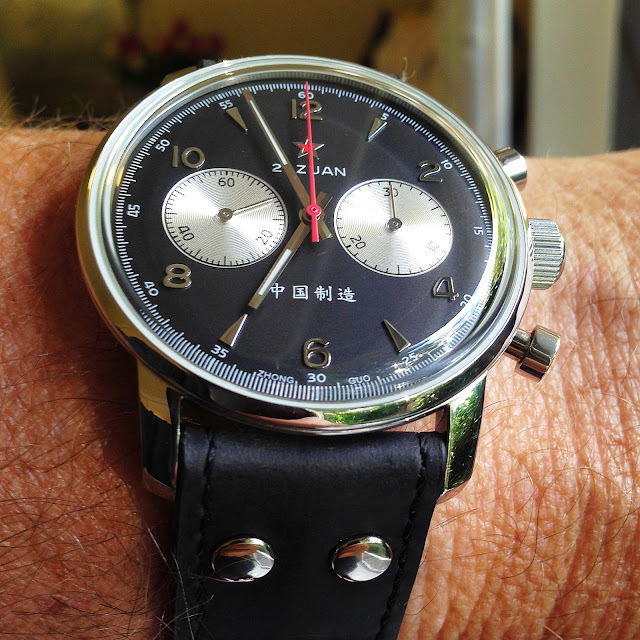 I wear it on a black and red NATO or on a black leather (Stowa) Flieger strap. Both combos look awesome. IT: I believe the answer to this question is, "Yes." I wear it in most settings with most types of attire. Suit and bow tie - check. Nice jeans and a sweater - check. Not so nice jeans and a graphic t-shirt, -check. It's awesome, I love it, and I find an excuse to wear it whenever and however I can. What is your favorite aspect of the watch? TB: In addition to what I mentioned above, I love the color scheme of the dial. If you told me you had a silver dial with gold markers, blue hands, and a red second hand, I'd imagine something garish and awful. This isn't. The colors are just enough for an accent, and not enought to overwhelm. HWA: Just the overall look and appearance. The size, the acrylic high dome crystal, the execution of the dial and handset, all works for me. I slightly prefer the look of the blue hands on the watchunique version over the gold hands on the hked cream dial, but the hked is so much better executed that I don’t care. The black dial, though, just wow. BH: Without a doubt my favourite aspect those raised indices and logo. The dial is a matte black so the contrast against the polished surfaces is really nice when the light catches it. ITA: Probably the domed crystal vintage look. But in reality it’s the total form, function, value, and history combination that make it a favourite in the watch-box. IT: Again, I have to go with "Yes." All the aspects are my favorite. But if I had to pick, its when the sun hits the dial just right to really reflect off the bright metallic gold of the numbers and blue and red of the hands. Makes me fall in love over and over. Now if I could just figure out how to take an Instagram picture of it that really did it any justice. TB: I changed the strap almost immediately. It came on olive canvas, which was fine but not what I was looking for. I have it on a tapered, oil tanned, dark brown leather by Hadley-Roma. It's a good conservative look. HWA: I changed the straps, and in fact refused to wear either of the watches until the new straps arrived. I suppose I have a strap thing. Both are on Eulit Kristall Perlon strap (these are the authentic Perlon, not the nylon knockoff) and they are as inexpensive as great looking. I have the cream dial on a blue strap, and the black on black, and think these combos look as good as anything else I’ve seen. BH: Nothing that can realistically be changed. The readability isn’t great in low light as the hour and minute hands can get a bit lost against the matte dial, but the thin, polished hands are part of what makes the watch look so great in the light. 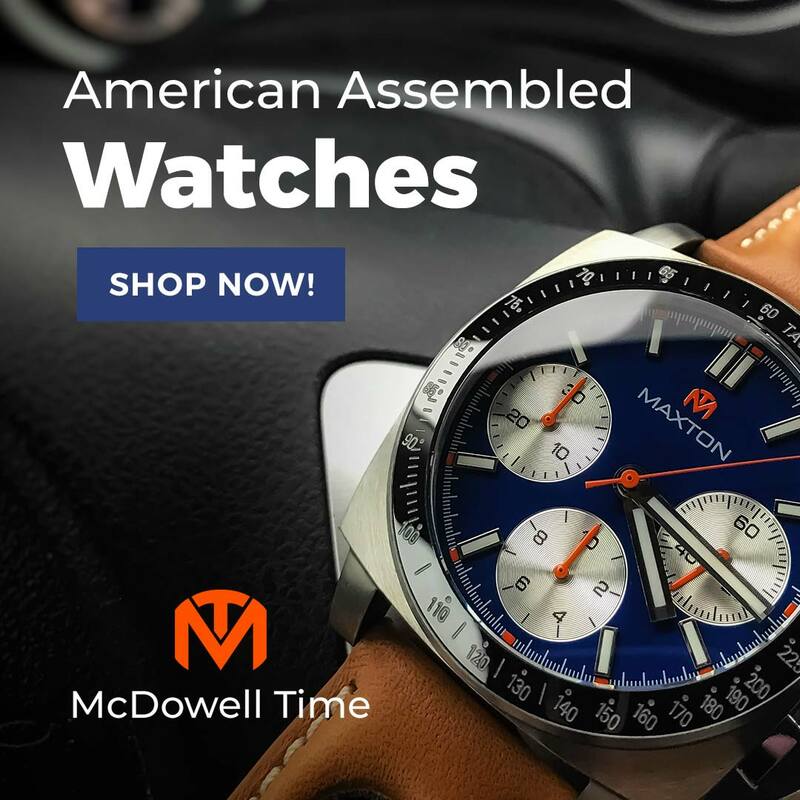 I do find that the watch wears a bit tall, but due to the movement it would be difficult to go thinner without losing two important aesthetic plus points – the domed acrylic crystal and the display back. ITA: Longer lasting lume would be handy when I’m on night shift, and the decorated ST-19 movement, although sorta funky looking, borders on cheesy. IT: I changed out the strap, but duh. The Seagull just craves fine brown leather. I am actually not completely in love with my current choice, a chocolate calf gator grain from Crown & Buckle, if anyone has any suggestions I am always open. Other then that, I just really wish mine had the signed crown. Otherwise, don't change perfection man.